The Liquitex Freestyle painting knives range feature traditional shapes and sizes as well as larger sized knives. This offers artists flexibility depending on the intended use, from small to large scale applications. These high-quality knives have been crafted with the finest stainless blades that resist all wear and corrosion. This allows the artist to manipulate large amounts of material. In addition, the ergonomically designed handle adds comfort and grip to every application. 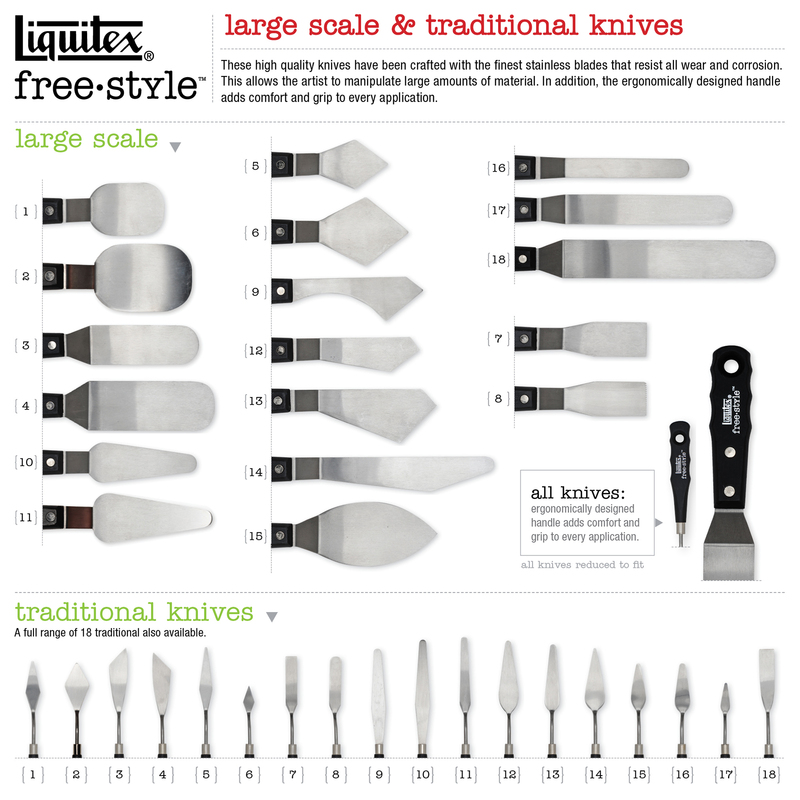 Download a chart of the different knife shapes.